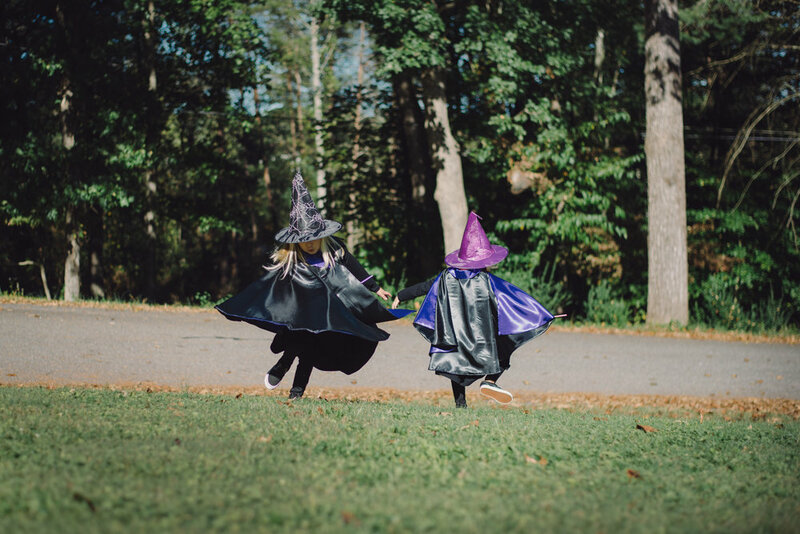 My oldest daughter wanted to be a witch this year for halloween -- and little sister quickly jumped onboard. It wasn't too much of a challenge to make witch costumes but I did use the opportunity to make them each a black dress they could wear again after the holiday. I went with black waterfall raglan knit dresses for their "witch" costume...paired with black and purple reversible capes. I picked up black leggings, matching black vans, and witch hats to complete the look. Simple as that! Oct 30, 2017 Halloween Witches!